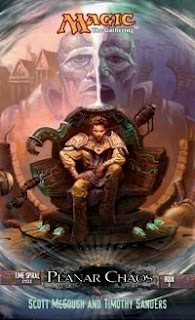 The Weaver King runs through the interior of the Stronghold, the place where he transformed from plain old Oleg il-Dal of Rath into the Weaver King. Long ago, when survival on Rath became hopeless he submitted himself to Evincar Volrath. Rather than be assigned as one of the carpenters or builders in the City of Traitors beneath the mountain, Oleg was chosen to be one of his guinea pigs . His body was dropped into a dungeon , alone and allowed to starve. Then the experiment began. His body continued to starve, but his mind was aggressively destroyed, shredded, sifted through, and reassembled by the evincar's sustained mental abuse. Oleg was shown images from his past, memories more real than the nightmare around him, only to have them whisked away as he staggered close. 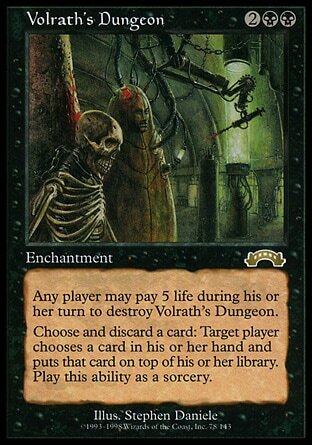 Volrath played loud discordant sounds for days without respite. He released strange animals into the amze that Oleg never saw but could always hear as they slavered and snarled ever closer. The evincar projected colorful lights onto Oleg's face, penetrating his private thoughts and dreams no matter how hard he closed his eyes or how hard he slammed his head into the wall. The lights burned his face at first, singeing the tips of his long hair and beard, but he soon developed a tolerance. With the resistance came the realization that he needed the lights now, that he was weak and wretched without them. He sought them out to bathe in, to soak them up alike a thirsty plant in spring's first rain. Later, Volrath started providing him company, and when he instinctively reached out to them, he discovered he could reach them directly from mind to mind. He had little control at first, but over the months of Volrath supplying him new guests after the previous ones died, he developed a control so fine he could compel anyone to do anything he wished. 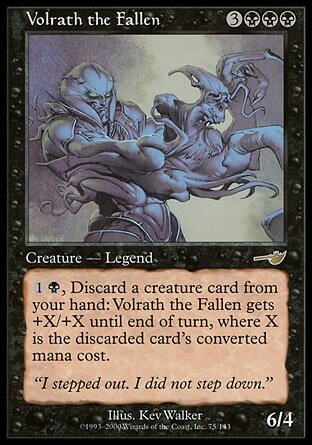 Eventually Volrath fell from power, and he was forgotten. 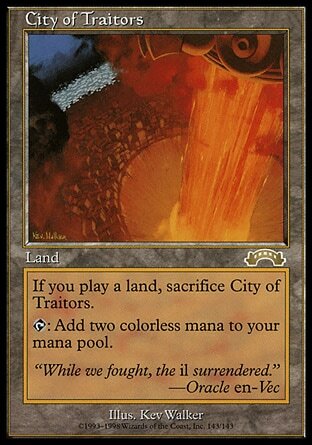 When the Invasion occurred, Rath and the Stronghold were phased in to Dominaria, but the transition wasn't one hundred percent complete. Many people within the City of Traitors found themselves in a shadow state, living a form of partial existence. Oleg didn't care, he was also freed in that process. Oleg moved about attaching mental strings to anyone that interested him until he had more servants than he was even aware of at any one moment. Servants who did his bidding often never even realizing they were serving him. He was the Weaver King. Venser is his favorite toy for the moment, and despite Wingrace severing the tie to him, he had already created a few more, ready and waiting for his return. As for his most loyal and willing subject, the silent Dinne , he needs to make sure he doesn't give into his bloodlust too soon. He calls out to his subject and tells him that no harm is to come to Venser or his friends until he says so. Instead he's to just watch and observe. And stay away from Windgrace. Jodah tells Jhoira of the Weaver King as they walk towards the direction of the ambulator. He tells her that the Weaver King is their common enemy and is unbelievably powerful. The Weaver King has connected with countless minds, but there aren't too many beings who have been alive as long as they have, with minds crammed full with over a thousand years of experience. It's very tempting for a psychic vampire. He tells her that he's after the both of them. Jodah tells her that long ago he was once betrayed by one of his close allies who had become possessed. Ever since that time he'd always been wary of psychic attacks, and so he immediately sensed the intrusion of the Weaver King as soon as it happened. Jodah was able to fool him with some simple spells. He couldn't mask his age and that his mind had lived through several lifetimes of experience, but he tricked him into thinking he was a senile old man with nothing left of value. But that was still something the Weaver King didn't want to put to waste and he entered his dreams. He made him recite a list of beings that had similar life spans as he. 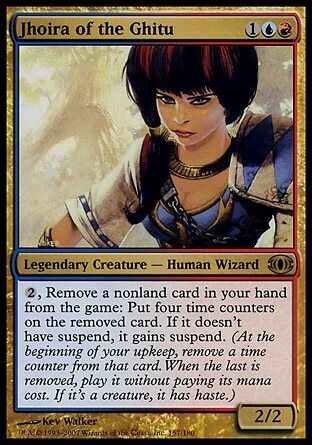 The list included lich lords , spirits, avatars... and Jhoira herself. The Weaver King knew about her as well, and now they need to work together to deal with him for good. The two finally make it back to the clearing of the crashed ambulator. A clearing with no ambulator, but there stood Venser . There's a new tatoo below his left eye, and Venser greets them by formally extends an invitation. Lord Windgrace would like the pleasure of their company. A roar booms from every direction at once and Jodah flees by flying up into the air. But he can't outrun a planeswalker, and a massive image of the panther-god's head appears and dissolves into mist and streams into his head. So I wasn't supposed to know who they are. At least not the Weaver King and Dinne. 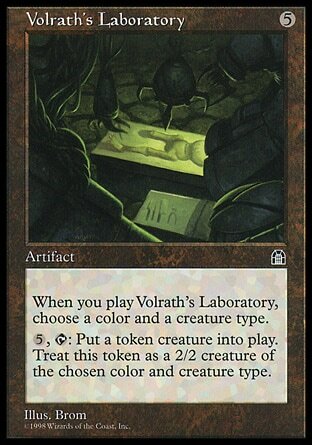 From what I can make of what I've read they're forgotten remnants of Volrath's experiments that have only been revealed in the Shadow cards of Time Spiral Block. I can live with that. 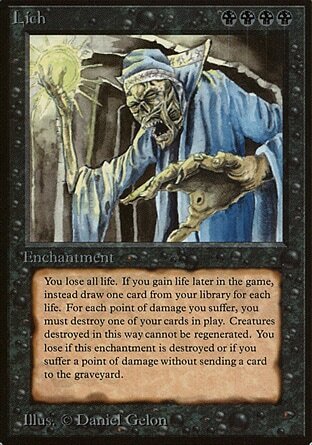 Planar Chaos the set even has the convenient Zealot il-Vec card that embodies Dinne perfectly, down to his lean, scarecrow-like shape, helmet, dart-like weapons, and his expertise at being able to interact with the physical world in a way that few of the Shadow folk ever master. I haven't really warmed up to him. He's shy and hesitant in a way that doesn't seem right when he talks with Jhoira. He's ashamed at admitting he had to beat the Weaver King by tricking his way out of the situation, and is ashamed that he brought her into this mess, but considering how old he is and considering the fact that he has the impressive title of Archmage, it seems a bit off. 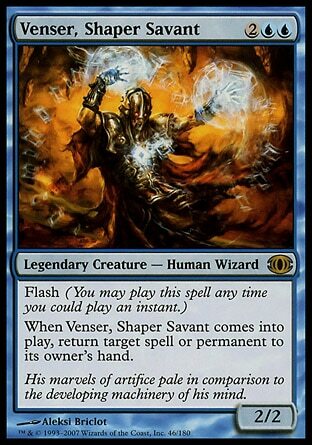 It works great with Venser, but Venser really is a naive boy who hasn't experienced much. Not so much with Jodah.